Our club is dedicated to helping those in our community who need it the most. 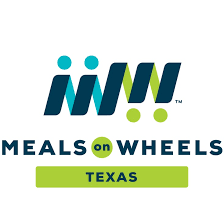 Meals on Wheels’ reaches more than 5,000 of our Greater Austin neighbors in need with prepared meals, groceries and safety-related home repairs. 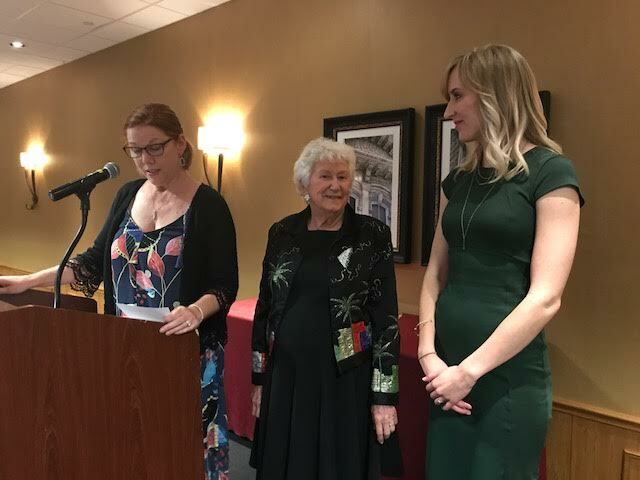 Our club provides financial support and has adopted a route to deliver home meals weekly for seniors and others with disabilities as well as the children's breakfast program. The Capital Area Food Bank of Texas provides food and grocery products to more than 300 partner agencies in 21 Central Texas counties. Last year the Food Bank provided 24.5 million meals. Our club provides financial support and volunteers to work in the Food Bank warehouse. 97% of the children at Pecan Springs are considered economically disadvantaged. 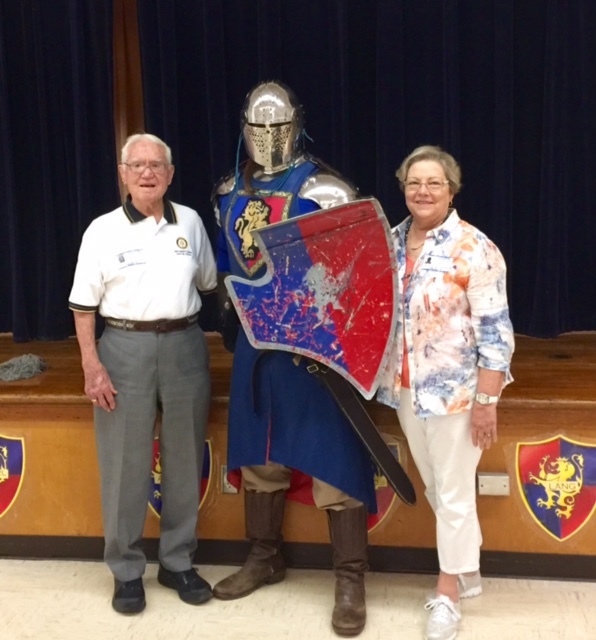 Our club supports the school’s focus on student success through projects such as: Early Act First Knight centered on character education, Reading Is Fundamental and other enhancements in the library and classrooms. Students at this elementary school are also considered economically disadvantaged or a Title I school. Our club supports the school’s focus on access to books and equipment, tutoring with math and reading, as well as science fair projects. GradKnight is a program to bring drug and alcohol awareness programs to the McCallum community, including students, parents/guardians and teachers. The program offers a safe drug and alcohol-free environment with which to celebrate their graduation from high school for 2015, 2016 and 2017. CapCityKids partners with the Austin Independent School District (AISD) and education experts to work on the problems that homeless students face. Our club provided financial assistance to the Nobelity project, and we helped fill over 1300 backpacks for homeless students starting the 2018-2019 school year. 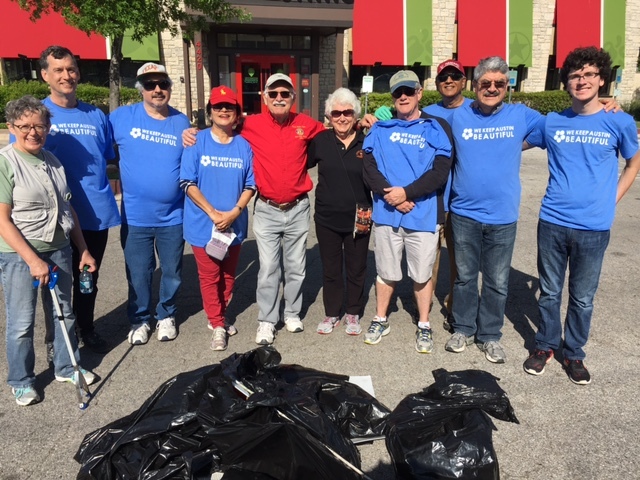 This will be our 4th year of participating in the Keep Austin Beautiful program sponsored by the City of Austin. We work with Bookspring to supply books for Excel Academy, a high school graduation program for adults operated by The Goodwill Industries, Pecan Spring Elementary and Pickle Elementary. 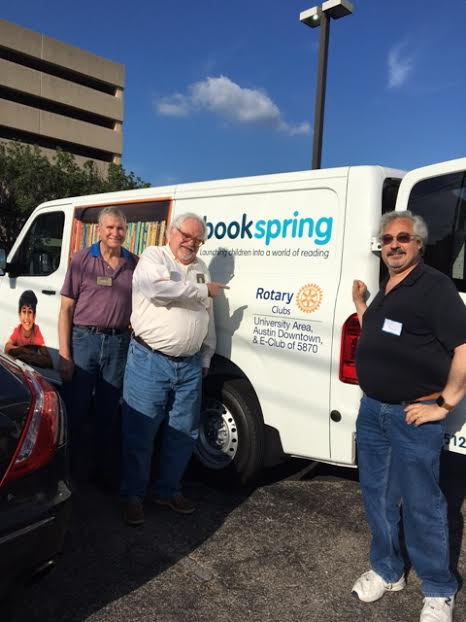 We also assist Bookspring with supplying equipment to help them collect and distribute books to schools all over the city. Texas ranks 45th in the nation in the number of registered nurses per capita. With an aging population the need for qualified nurses will only grow. Recognizing this need, our club sponsors a nursing scholarship for nursing education. Sammy’s House is a nonprofit agency that provides services for children with and without special needs. They operate a child development center, a respite care program, summer camp and family support services to fill the gaps in services for children, especially those who are medically fragile and/or developmentally delayed in the Austin, TX and surrounding area. 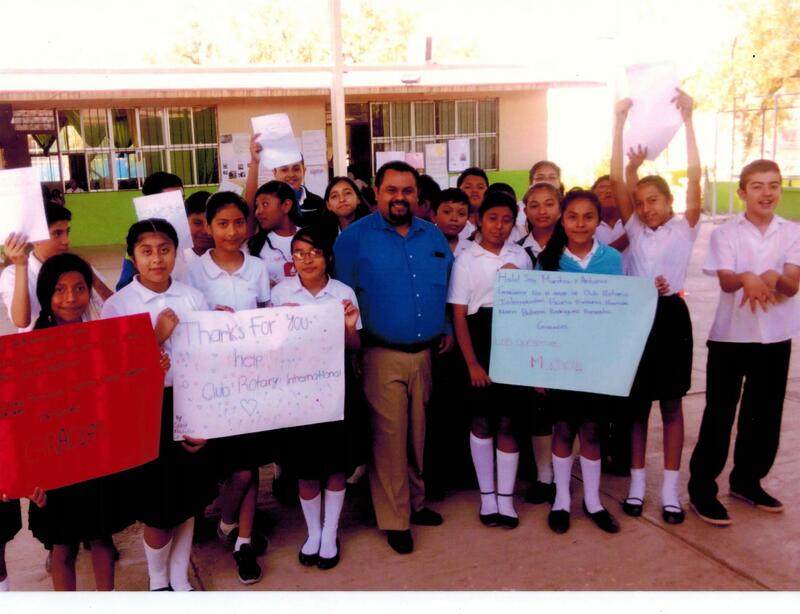 Our club provided assistance for childhood education projects and to help secure their swimming pool. Commitment to understanding our world and helping beyond our domestic borders is a commitment our club makes to International Service. Along with the Reynosa Rotary Club, we furnished a stove, refrigerator and kitchen equipment and now the children need a protected area in which to eat. We are in the process of providing materials and supplies in order to build this cafeteria. Working with Rotary clubs and districts around the world, our club has participated in major projects including providing mosquito nets to prevent malaria in Togo, upgrading a public school in East Kusaha, Nepal and furnishing equipment and supplies for medical clinics in Nicaragua. Tuberculosis along the US - Mexican border is a major health issue for both countries. Our club is the lead international club in a $300,000.00 project that established the Reynosa Center for Tuberculosis in 2011. As of October 2016, the Center has cared for almost 1,500 patients with tuberculosis including 22 with drug resistant TB. Rotarians and non-Rotarian volunteers work together to provide corrective surgeries, primarily for children born with cleft deformity. Our Club has provided financial support and volunteers on missions for surgeries that truly change the lives of affected children. Since Rotary launched a worldwide effort to eradicate polio in 1978, more than 2 billion children have been immunized against polio in 122 countries. The incidence of polio has dropped from approximately 300,000 cases/yr to just over 50 cases a year today. For as little as $0.60, a child can be protected against this crippling disease for life. The Rotary Foundation transforms financial gifts by Rotarians and others into projects that change lives both close to home and around the world. Foundation grants empower Rotarians to approach challenges such as poverty, illiteracy, and malnutrition with sustainable solutions that leave a lasting impact. Our Rotary club has sponsored a golf tournament for the last twenty-one years. In those years, the tournament has raised more than $325,000 to benefit area charities. The largest two beneficiaries have been Meals on Wheels and More and the Capital Area Food Bank. Book Spring, Wounded Warriors Project, Austin Children’s Shelter and others have also benefitted from the tournament. UT Rotaract is a student club focusing on service and leadership. 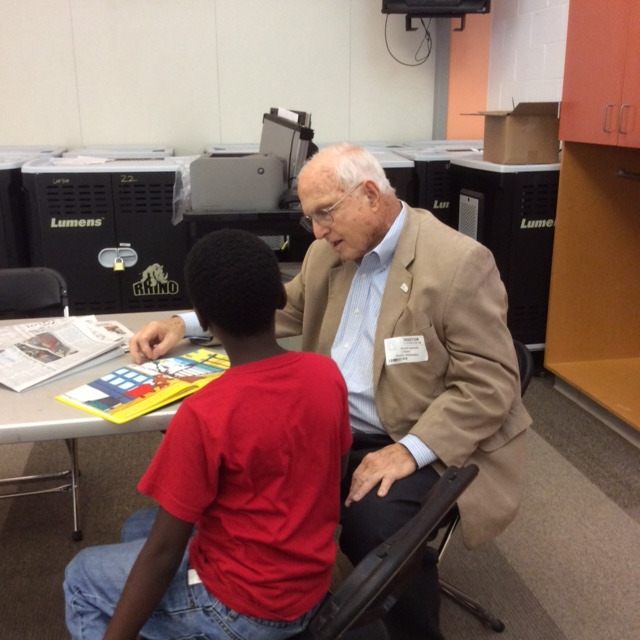 Its goal is to promote camaraderie amongst club members while participating in community service events across Austin. Anderson High School Interact club focuses on service in their community and interacts with UT Rotaract. RYLA is a summer camp for exceptional youth and potential leaders, recognizing young people who are serving their communities. Each one-week program covers fundamentals of leadership, including ethics, communication skills, problem-solving and conflict management. Many club members support the camp by volunteering in the medical clinic, building the Physical Challenge course and serving meals. This program has helped change the lives of some of our youth.